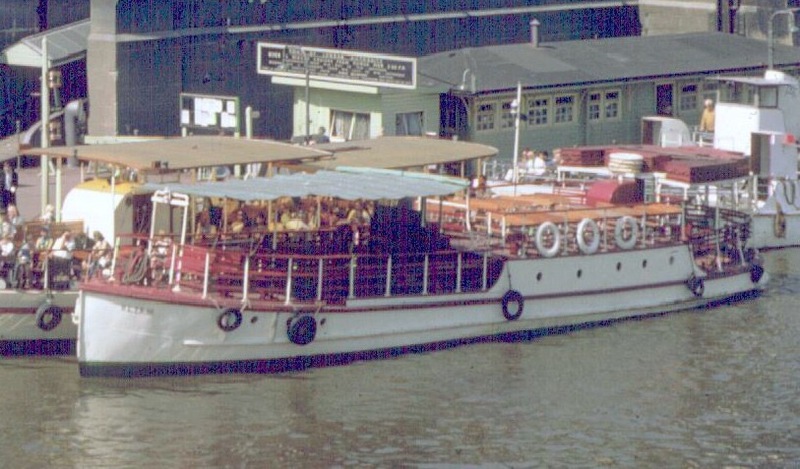 Ben from the Liquid Highway blog – the oracle on all things Thames-related – has found another picture of Betty. 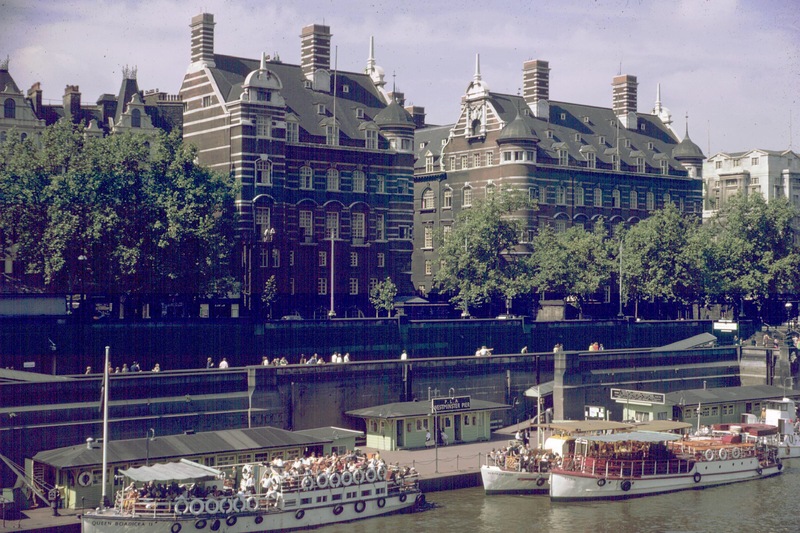 Or more accurately, Queen Boadicia II , Bertram Rose , Beta III and Viceroy at Westminster Pier on May 9, 1966. Betty is the one nearest the camera on the right. A further close up (thanks again Ben!) where you can see that the deck has been lowered for this stage of her life operating as a tour boat. There as also some rather striking railings around the edge and to hold up the canopies.i am pretty sure that the railing at the front of the raised deck holding the back of the canopy was still there when I first got hold of her. This entry was posted in Uncategorized on August 20, 2015 by hellyboo. Yes that railing was still there. you have some earlier photos of you standing next to them with your puppy . Ah yes, I know the one!